We love Nurses! And the author of this article sure does too. She echoes how we’ve always felt about the Nursing profession. How smart, kind, caring, selfless, patient, compassionate and thoughtful you are on the job, every day. Some of your patients have mental health issues or they’re scared. Their fear sometimes comes out in cruel ways and they take it out on you. We know this isn’t fair, but you always handle it with grace and professionalism. You care for every segment of society – rich and poor, young and old, male and female, mentally challenged, physically challenged and financially challenged. It doesn’t matter, you treat them all in your caring and thoughtful way. We thank you for all you do! I've discovered that nurses are a) seriously overworked and b) absolutely the best! If you or a loved one is in the hospital, make sure you are as kind as possible to the nurses. There is no one you can trust more in the hospital than the nursing staff. They are true patient advocate. Rushed doctors can sometimes not be as thoughtful about patient care as they could be, which is why it is so cool that nurses are always willing to fight with the doctors to get their patients the best care possible. 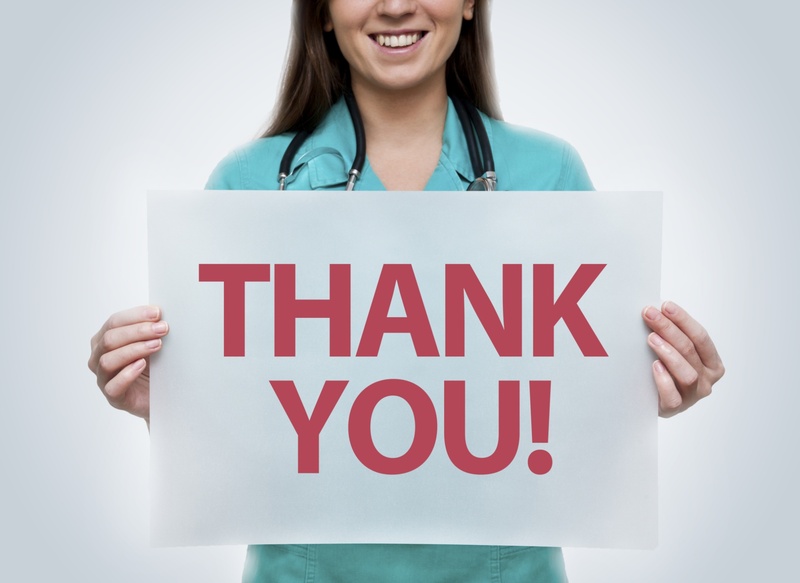 Always remember to do everything you can to support the nurses in their efforts as your patient advocate. If the nurses are urging you to talk with the doctor about a certain aspect of your care, do it. Nurses always have their patients' best interests at heart, and they deserve the highest of fives for the level of advocacy they demonstrate daily. One of the most admirable attributes that nurses demonstrate is their ability to provide stellar care to every person who walks through their doors. Whoever a person is, whether they are good or bad, they will be treated equally by nurses. Nurses ensure that every patient gets the level of care they deserve as a member of the human race. It takes an amazing kind of soul to treat every segment of society equally. The fact that it is just par for the course for nurses shows precisely why they are so awesome. Because nurses treat every member of society equally, they are exposed to the best and the worst it has to offer. While interacting with the bottom rungs of society, they can be insulted, shouted at and even attacked. It takes an incredible type of person to bravely face a work environment where you will be exposed to some of the dregs of society. Nurses walk through the doors of the hospital every day knowing that they may face a mentally ill or criminally desperate person who could make their work dangerous. If a nurse ever challenges you to a walking contest, you better make sure you are in shape. The average American walks 2.5 to 3 miles per day. On the other hand, nurses average four or five miles just during their workdays on a 12-hour shift. The kind of endurance nurses need to respond to many patients simultaneously while being on their feet all day makes them true heroes. With that in mind, you might want to think about how long the nurses have been on their feet during their shift when you interact with them. They work so hard and in such a grueling manner that they deserve to be treated with respect. When you think about getting upset in the hospital, keep in mind that nurses are doing everything they can to make your stay as pleasant as possible. Because they are so caring and see people at their best and worst, you will find that most nurses are treasure troves of stories. Their stories range from the heroic to the tragic to the hilarious, and you can bet that every nurse has several of the most incredible stories you will ever hear in your life. If you want to make a friend who is caring and full of great stories, there is no better friend than someone who wears nursing scrubs. It is indisputable. Nurses totally rock. They do the hard work of taking care of people when they need it the most. We should always do everything we can to show love and support to the hard-working members of the nursing world.